Shneeb108 wrote: 9-22-17 release, best news yet !!! the press release has been edited back to say Late September. I think they should just put "Late"
What is that Formula car at 1:16 ??? The onboard shot from that scene at 1:15 it says Formula-H on the roll hoop. Maybe their made up version of Formula E? Group A at Bathurst looked very grippy for a rain race. Looks promising. One if them is the Lambo Hurican. Whats the other? Lexus from the IMSA seires maybe? Saw this one today that goes thru most of the menus and settings. Shows the FFB set up also! Worth a look! 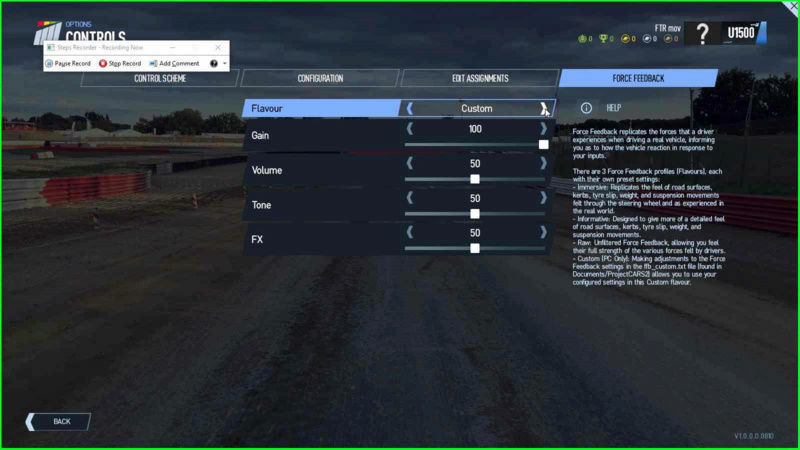 This new feature will help a lot of people with car setup and understanding what your changes are doing to your car. Remember to take a look at our facebook page if you havent already! How customisable it the online championship? Points change, rules and regs ect? 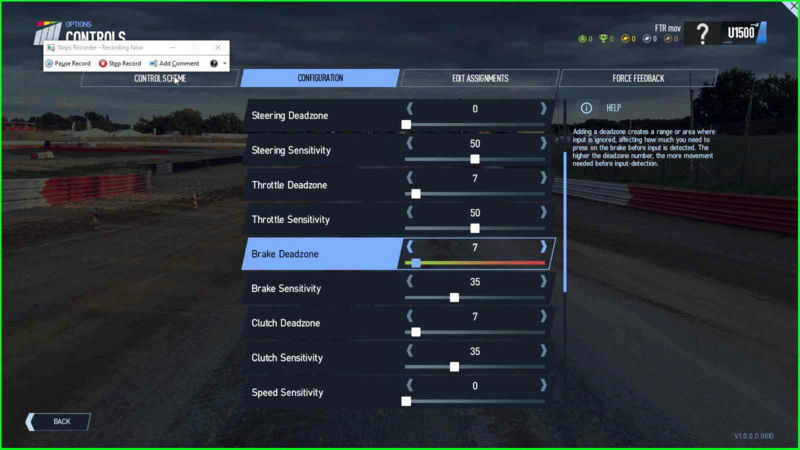 I wonder what the performance difference is between GT3 vs. GT3 "Endurance"
DynoMight Racing wrote: I wonder what the performance difference is between GT3 vs. GT3 "Endurance"
I dont think there is profomance difference as on stats they are all the same. However i do belive that the endurance vesions have the big endurancr style headlights across the front so as to light up the road big time like in the Spa 24Hrs. I am also wondering if the cars may have a bigger fuel tank.? But i know they definetly have the big spot lights across the front for night running. Well, if they have larger fuel tanks that would present an advantage over the rest of the field, at least in an Endurance race. DynoMight Racing wrote: Well, if they have larger fuel tanks that would present an advantage over the rest of the field, at least in an Endurance race. Not necessarily because the standard gt3s may have huge fuel tanks anyway. 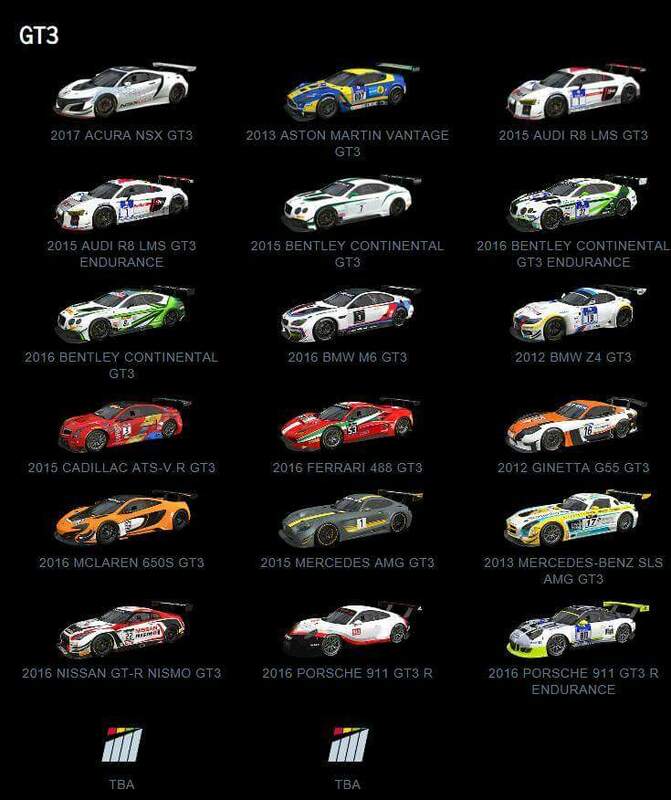 And then the audi, bentley and Porsche have smalled ones and then they have there endurance ones to complete over a long race. On pcars1 certain cars had bigger and smaller tanks. So we will have to see. The big endurance lights will be cool though.